Holly is almost 12 years old and Willow is her 10 year old daughter. 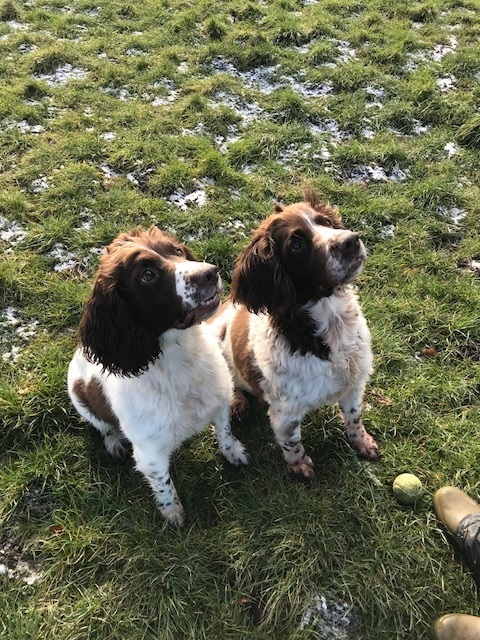 They need a lovely new home together and are with Yes Spaniel Rescue in South Yorkshire (at the time of writing the girls don’t appear Yes Spaniel Rescue’s website). The rescue prefers to rehome within Yorkshire but would consider an ideal home offer from further afield. These beautiful girls have been in boarding kennels since October 2018 as their beloved owner went into hospital. And now, very sadly, their owner has passed away. Holly is a sweet and active lady and Willow is even more active and loves chasing a ball. They would like a home with active owners who will take them for good walks and offer them a fun new life to make up for their recent sad times. They have always been well loved and they have lots of love to give their new people. They are good with dogs and children. Holly is spayed and Willow is about to be spayed. They are vaccinated and microchipped. Could you offer these pretty girls a new home together? Please mention that you saw Holly and Willow on the Oldies Club website.